Have Awards shows changed the way we view Asian Americans? In many ways, Sunday’s Emmy Awards showed that a shift has taken place in Hollywood since the Oscars, just seven months earlier. 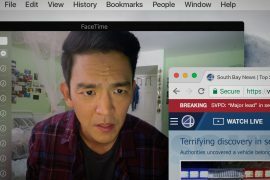 As Alan Yang and Aziz Ansari accepted the Best Writing trophy for Master of None, Yang stole the show with his heartfelt tribute to immigrant parents and call for more young Asian Americans to pursue careers in entertainment—a far cry from the ridicule of Asians during the Academy Awards. The hashtag #OscarsSoWhite became a household phrase leading up to the Oscars in February, but for many Asian Americans, the catalyzing moment happened during show itself, with a series of racist jokes. First, host Chris Rock brought three Asian children onstage, joking about math stereotypes and child labor, followed by Sacha Baron Cohen’s crude one-liner alluding to yellow people’s genitalia. However, even during the Emmys, feelings of invisibility lingered among Asian Americans; as Fresh Off the Boat’s Randall Park and Constance Wu took the stage to present, Park asked with wide eyes if they were going to receive their award later. Fans latched onto the moment, creating the #JusticeForConstanceWu hashtag on Twitter, feeling like Wu had been snubbed for a nomination in the acting category. But even host Jimmy Kimmel’s awkward attempts to make light of his own white, heterosexual male privilege—joking about “too much diversity” and asking whether Jill Soloway’s call to “topple the patriarchy” was a good thing for himself—were far more palatable than the usage of Asians as punchlines at the Oscars. April Reign, creator of #OscarsSoWhite. So Yang started writing an editorial. At the same time, other Asian members of the Academy had similar ideas. Yang ended up signing the letter spearheaded by documentary producers Freida Lee Mock and Arthur Dong and Hollywood public relations executive David Magdael. Since the Academy roster has traditionally been closely guarded, even members were unsure of exactly how many AAPIs were in the ranks. Together, they pinned down about 50 Asian Americans they knew to belong to the Academy. Half of them signed, including actors George Takei, Sandra Oh, and Nancy Kwan, directors Ang Lee, Chris Tashima, and executives Marcus Hu and Teddy Zee. “I had never seen anything happen so quickly,” says Yang. “This moment in time is truly radical. What I’ve seen again, this year more so this year than any other time, there is a common interest.” The letter expressed disappointment over the “targeting of Asians” and the “tone-deaf approach” to portrayals of Asians on Oscars Night, especially in light of pressures to increase diversity in the Academy. Much of that media interest has been prompted by social media. The #OscarsSoWhite hashtag was started by April Reign, a Black woman, and the movement gained traction in large part due to outspoken African Americans on social media. “I am grateful for Black Twitter because it is a real force,” says Gamechanger Film’s Mynette Louie. “I’m glad that underrepresented voices finally have platforms through which to express their opinions.” Reign, an attorney-turned-editor of Broadway Black, a website focused on African Americans in theater, describes tapping out a tweet early one morning in 2015, dismayed by a news report announcing the nominees for the year’s Best Actor or Best Actress awards—all of whom were white. This year’s controversies have prompted more discussion than ever, not only with the lack of diversity among Oscars nominees, but also in casting choices that whitewash Asian roles. Most notable: the casting of Scarlett Johansson as a Japanese character in Ghost in the Shell and Tilda Swinton as a character originally written as a Tibetan man in Dr. Strange. But the question of Asian American representation in Hollywood is as old as Hollywood itself. Beginning in the 1930s, white actors were routinely cast in Asian roles. 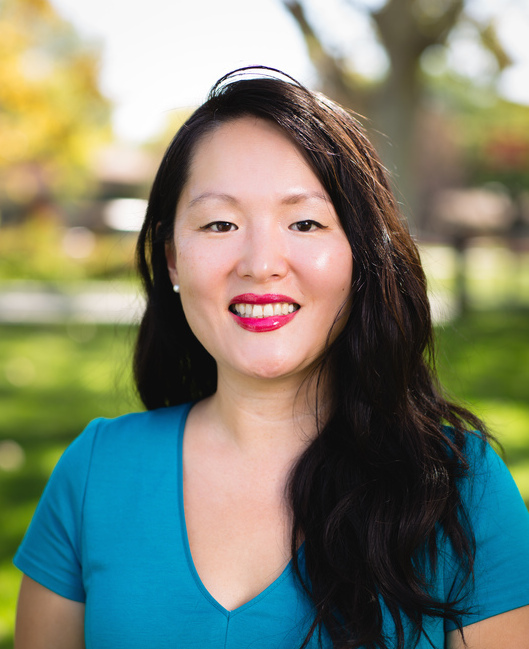 “The practice of having white actors play people of color in blackface, yellowface, brownface, redface comes from minstrelsy, which was highly popular even before the advent of film,” says says Biola University sociology professor Nancy Yuen, who is the author of the upcoming book Reel Inequality (Rutgers Press, December 2016). Emma Stone in Aloha (left) next to Michelle Villemaire on the right in the Correcting Yellowface project. Photo by Matt Dusig. During the 1930s through most of the 50s, the Motion Picture Production Code (or “Hays Code”) contained an anti-miscegenation clause forbidding portrayals of actors of different races in romantic relationships. “This further justified yellowface performances,” explains Yuen. Classic movies such as Charlie Chan, The Good Earth, and Breakfast at Tiffany’s all included white actors in yellowface—with wigs, makeup or prosthetics to create sometimes grotesque interpretations of Asian facial features. Blogger Michelle Villemaire recreated many of these old movie stills in a viral photoessay titled Correcting Yellowface. Other online movements, such as the hashtags #whitewashedOUT, #StarringJohnCho and #StarringConstanceWu that followed #OscarsSoWhite also show that Asian Americans can mobilize with social media to make their voices heard for better representation in Hollywood. The last large-scale protest over Asian Americans in entertainment took place over 25 years ago. In 1990, whitewashing on Broadway was the target. “Miss Saigon was the last time Asian American artists rallied against whitewashing—when white British actor Jonathan Pryce was cast in an ‘Eurasian’ pimp role,” Yuen said. “The protests led the Actor’s Equity to try to bar Pryce from the New York production of Miss Saigon, but ended when Cameron Mackintosh cancelled the production all together.” Although the protests did not prevent Pryce from playing the role, subsequent castings of the same character went to Asian actors. A few years later, many Asian Americans celebrated the production of the big screen adaptation of Amy Tan’s novel The Joy Luck Club, which was produced by Janet Yang. “They were all saying in 1993, this is going to forward Asian American stories,” says actress Tamlyn Tomita, also speaking on the panel at the AAJA convention. “Yeah, it was just a major blip in that point.” But Tomita and others believe that that this year’s activism is more than a temporary blip, noting that past attempts to widen diversity in Hollywood have not gained the traction of this current round. 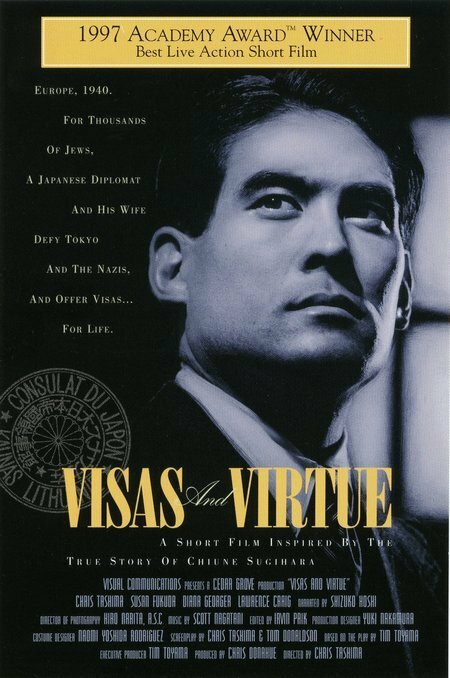 Visas and Virtue won an Oscar in 1997. 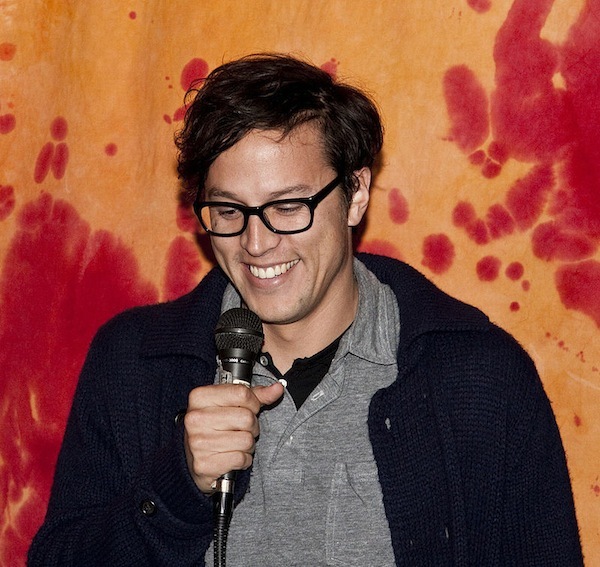 Chris Tashima, who directed/produced and starred in the short film, is a long-time member of the Academy. Photo by Dennis Mukai. This year’s letter, signed by 25 prominent Asian American artists, have finally caught the attention of the Academy’s leadership. The Academy’s lukewarm initial response prompted even more outrage, leading to a meeting with the heads of the organization in late March to form a strategy for increasing membership and visibility and giving Asian Americans more of a voice in the organization. Yang and Tashima both note that current Academy President Cheryl Boone Isaacs and CEO Dawn Hudson are placing a high priority on diversity. This summer, the organization made its the biggest membership changes to date. This year’s 680 new invitees to the Academy include over 80 Asian Americans, one-eighth of the new class. New members include familiar faces such as James Hong, Elizabeth Sung, and David Henry Hwang and newer names such as Sanjay Patel, whose Pixar film Sanjay’s Super Team was nominated for Best Animated Short. Tashima, who has been a member of the Academy’s executive committees, says that in the last five years, he’s seen people higher in the ladder talking about race and diversity. But the social media campaign, starting with #OscarsSoWhite, is what catalyzed the recent changes. “It gave them a reason to really accelerate all of their efforts,” Tashima said. “With the recent list of invitees, it’s doubled the number of people of color in some places, literally overnight. Many Asian American filmmakers also note that changes to the Academy are only the tip of the iceberg. “There is homogeneity in every part of the cycle,” says Louie, a 2016 inductee to the Academy. “Producers, financiers, and distributors all need to get on board with diversity for Academy members to even have the option to vote for films that are by and about and starring white people.” Louie’s Gamechanger Films funds movies directed by women. Tashima says the focus on whitewashed films like The Great Wall limits the conversations. No one ever attacks Woody Allen films or other “regular” Hollywood films and they need to be scrutinized too, he said. “Films like Lord of the Rings, The Big Friendly Giant, Woody Allen films, are almost all white,” he notes. Some people on Twitter critiqued the AAJA panel, during which Reign was not mentioned as the founder of #OscarsSoWhite, even though the panel name included the hashtag. And many of the Twitter users who critiqued the panel seemed unaware of the letter that 25 Asian American members of the Academy signed. *AAJA has since apologized and addressed this issue in a public statement, and has reached out to Reign via e-mail. Again. I do NOT need to be on every #OscarsSoWhite panel. I'm glad there are so many happening. Just… One sentence of recognition. Reign, on her part, has stated on Twitter that she does not need to be invited to be on every #OscarsSoWhite panel, which is what some Twitter users argued, but that there needs to be overall awareness. And, working together should be the larger goal. It’s a sentiment repeated by many Asian Americans in the entertainment industry. They’re tired of being invisible and want better representation–for themselves and others. “Anytime an underrepresented group—be it black or women or Latinx or whatever—achieves mainstream recognition or gets equal opportunities, it’s a boost for all other underrepresented groups,” says Louie. For the Asian American Academy members, they’ve grown into a larger group, named Asians in Hollywood, and have continued to advocate in this realm, and have been active on Facebook and Twitter. (For this story, we reached out to we reached out to Cheryl Boone Isaacs, who declined to be interviewed, as well as the Emmy and Golden Globes organizations, which did not respond). 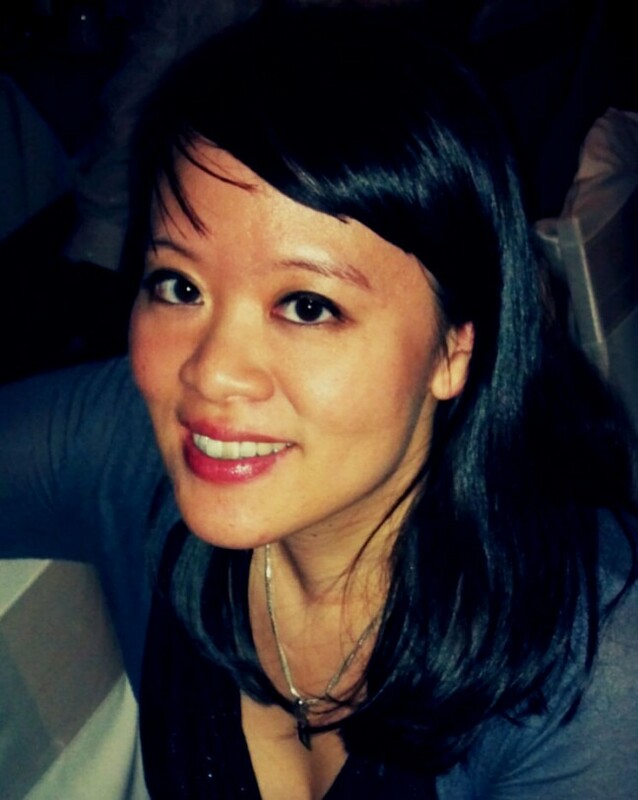 Grace Hwang Lynch is a San Francisco Bay Area freelance journalist and essayist, with a focus on race and culture. 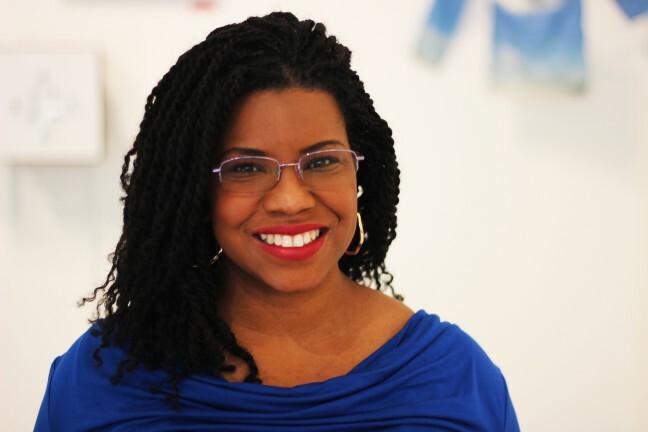 Her work has been published by PBS, PRI, Salon and Library Journal. She also blogs about mixed race Asian family life at HapaMama.com. Follow @GraceHwangLynch on Twitter. Additional reporting by Momo Chang. *This article was updated on 9/23/2016 with a link to AAJA’s response. Emmy Nominations 2014: Where Are All the Asians?